Southern California is known for its beautiful beaches, idyllic weather, and lifestyle of leisure. But, over the past few decades, it has transformed from an English-speaking community into a multicultural, multilingual hub, full of a diverse array of people with roots from all over Latin America. Since then, Urquiza became synonymous with unparalleled sports coverage. 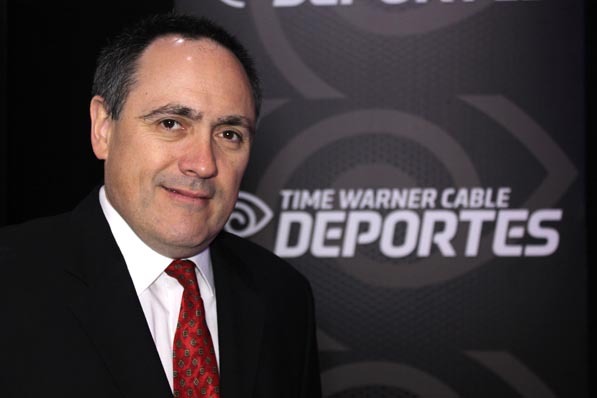 He worked on three additional World Cups and also covered countless athletic events during his tenure at Univision. “As an Argentinian, I love soccer. Sports coverage was the perfect fit for me, because I love media, I consume a lot of television, and I always wanted to be close to the sport I’m passionate about,” he says. Since its formal launch, the company has made waves in the community as a haven for its Spanish-speaking sports fans. In addition to the exclusive Los Angeles sports team coverage, the network has also been able to cover soccer, boxing, and more. Urquiza worked tirelessly to get the network to this point, and he couldn’t be more proud. “Everything I do, I put everything I have into it. The passion I have for what I do is what gives me the edge to succeed,” he explains.